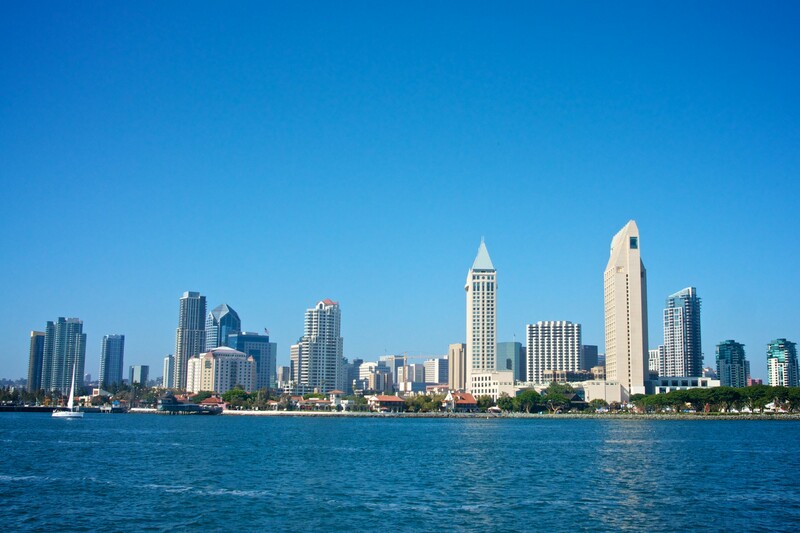 Great news for the San Diego real estate market! According to CoreLogic, a leading real estate tracking agency, the median home price in San Diego County reached $530,000 in May. This beats the record set last month of $525,000 and shows an increase of 8.2% over last year. Though this record high is still lower than the peak of the housing boom in 2005 if adjusted for the rate of inflation, but is the highest nominal amount. According to economists, this trend is likely to continue and we may even see higher housing prices through the summer selling season. There are a lot of factors impacting the cost of homes in San Diego County. First of all, Spring and Summer are the peak real estate season, so the numbers tend to be higher this time of year. Secondly, San Diego County currently has a strong economy with a low unemployment rate. So buyers are confident in making the choice to invest in a new home. Also, with skyrocketing rent prices, often higher than mortgage rates, many people are seeing the financial value of homeownership over renting. However, the largest driving factor for the price increase is the lack of inventory. Currently, there are not enough homes on the market to meet demand. Between slowed new home construction and people hanging onto their houses, the lack of available homes for purchase has created a very competitive market. In May, there were 5,060 homes available for sale. Compared to 7,029 available homes in 2014, it’s clear how low supply and high demand are creating increased home values. As for newly built homes, there were only 232 built and sold last month, compared to 1,251 in May 2005. With prices reaching this high, there are a couple of effects on the market. First, San Diego Mayor Kevin Faulconer has unveiled a new plan to streamline project approval, reduce regulations, and recalculate developer fees in the hopes of spurring new construction. So we may see a lot of new homes being built over the new few years. Next, it means that absentee buyers looking to financially invest in property is down from 30% in 2013 to 19.2% in April because the profit margins are lower. Finally, it means that home buyers are much more aggressive. So the sales cycle is faster, offers are higher and more competitive, and most sellers are making a profit off the sales. Ultimately, the San Diego County market is a seller’s dream right now. So what this means is that if you are looking to sell your home sometime soon, now is a great time to act. Once there are more homes on the market from the new construction projects, the housing price increases will most likely begin to slow. Also, with the rates projected to continue increasing over the summer, now is also a great time to buy before the prices get any higher.